Honestly, I wasn't really impressed with the Topshop's spring collection by Kate Moss, until I saw this..
ahh! i looooove that dress. I've been searching too and I can't find anything. I want this. 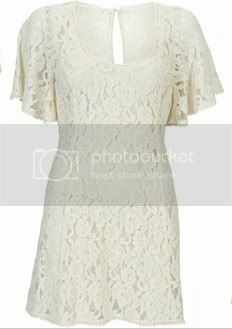 That really is a beautiful LWD (little white dress). Pretty much essential for the summer!